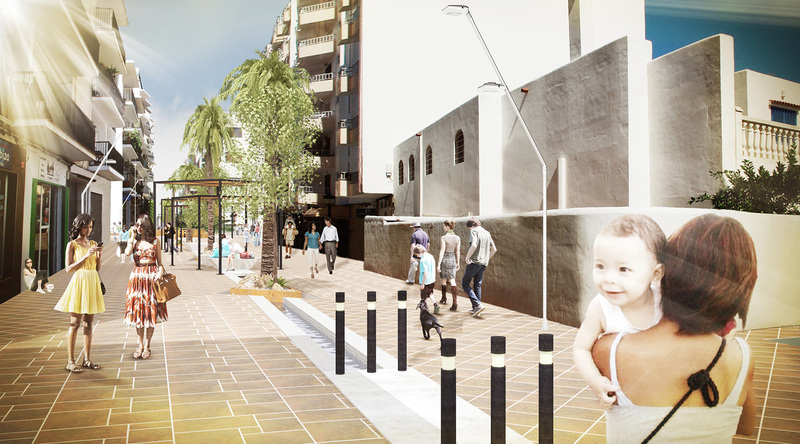 Urban design of the existing urban commercial Street and square Sant Isidre Macabich, situated in Santa Eulària d’es Riu, Ibiza. 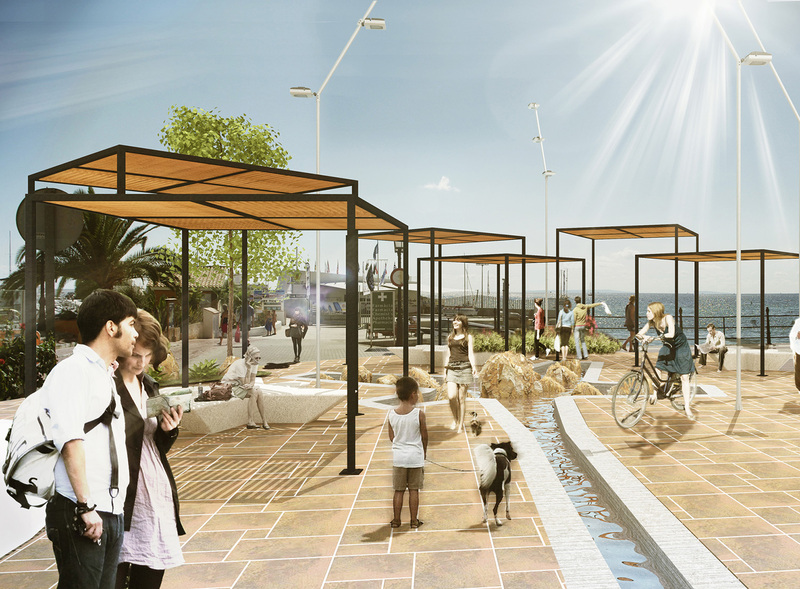 The proposal called for a new and improved face for the commercial street, creating a great promenade from the city downtown to the Mediterranean Sea. The city was to become one of the most important commercial and retail streets of the city, already perpendicular to most circulated street. 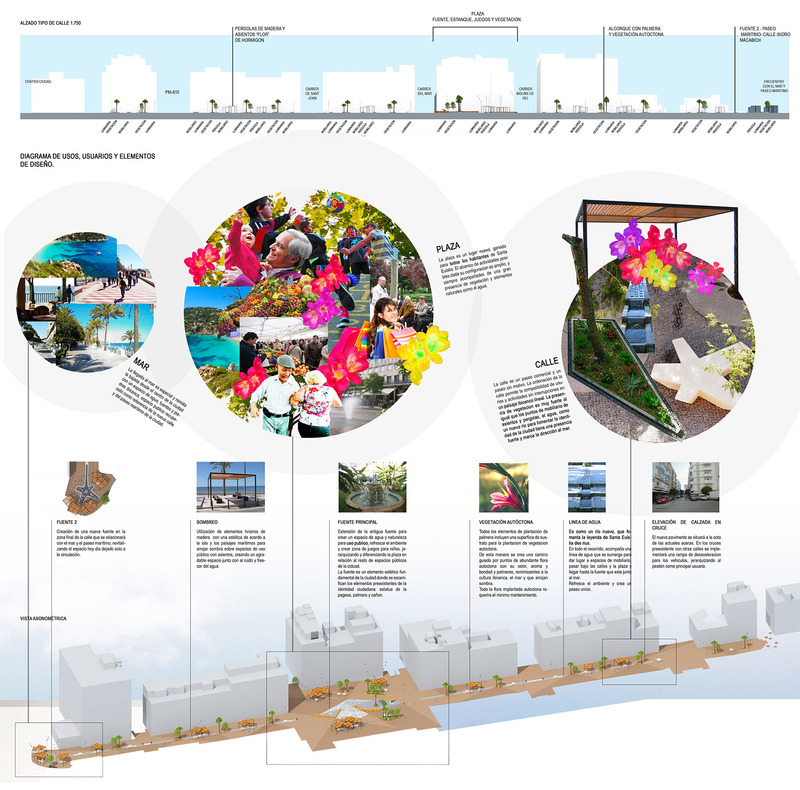 The Master plan proposes a commercial ring, including in the design the sea front, creating a close circuit of retail and commercial use. The street features a water line falling from the higher topography in the downtown, falling constantly to the sea level along with the inhabitants out for a stroll. According to the legend that grants name to the city, Santa Eulalia cried during a severe drought and filled all the water wells of Barcelona. The metaphor of a river, continuously flowing, honours the Saint of the city.